For centuries, surgery was often an agonizing experience. Through advances in medicine, anesthesiologists are able to make operations virtually pain-free. Except in emergencies, the anesthesiologist usually meets with the patient prior to the surgery. The doctor will ask about the patient’s medical history, and explain the type of anesthesia that will be used, as well as possible side effects. Before the operation begins, the doctor administers the anesthesia…and checks to see that it’s taking effect. The anesthesiologist monitors the patient’s vital signs – heart rate, blood pressure, body temperature and breathing. The amount of anesthesia may need to be continually adjusted to ensure the patient is properly sedated. It’s a mentally-demanding, high pressure job. The patient’s life is in this doctor’s hands. Most work is in operating rooms at hospitals or surgical outpatient centers. They may also handle pain management in intensive care units and during labor and delivery. Hours can be long and irregular. Even after the surgery is completed, anesthesiologists continue to watch over patients, ensuring they come out of the anesthesia successfully. Anesthesiologists complete 4 years of residency training after medical school. After residency, they may pursue additional years of fellowship training in subspecialties such as cardiothoracic anesthesia and critical care. Millions of operations are performed each year. Many of them just wouldn’t be possible without the knowledge and expertise of anesthesiologists. See more details at O*NET OnLine about anesthesiologists. 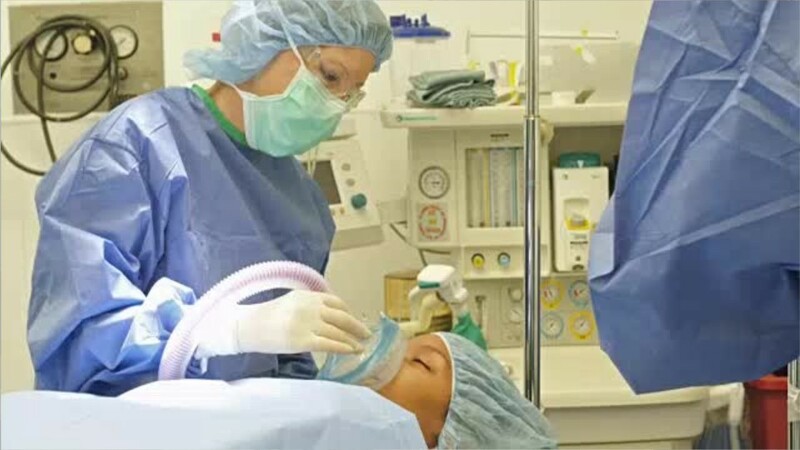 Anesthesiologists by U.S. Department of Labor, Employment and Training Administration is licensed under a Creative Commons Attribution 4.0 International License.